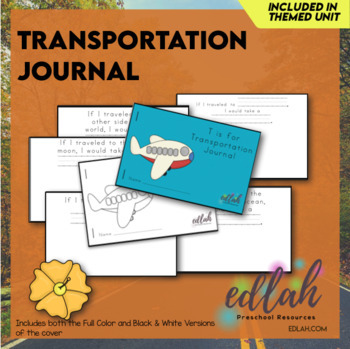 This document contains a cute transportation themed cover and 5 different journal pages. Simply copy, cut and staple. Each page contains a simple sentence with a traceable word to give your students writing practice and plenty of space for your students to draw a picture to go along with the sentence. If your students are writing independently you can attach blank pages and have them write their own journal entries. This download now Includes both a Full color cover and a Black & White cover option. 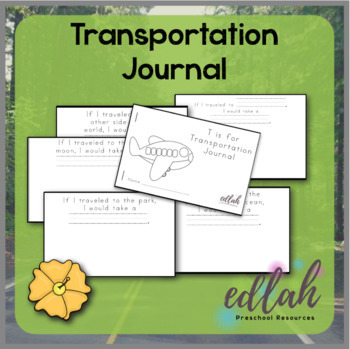 *THIS JOURNAL IS INCLUDED IN MY TRANSPORTATION THEMED LESSON PLANS. If you plan to buy the entire theme, please do not purchase this document. I wouldn't want you to buy the same thing twice.